Nostalgia is all the rage in Prague. I’ve been drowning in it myself, these days, going back to life in the 1980s in my early blog posts. Czech voters clearly have a dose of it, electing a former Communist-party member as prime minister in October 2017 and in early 2018, returning old-schooler Miloš Zeman as president. 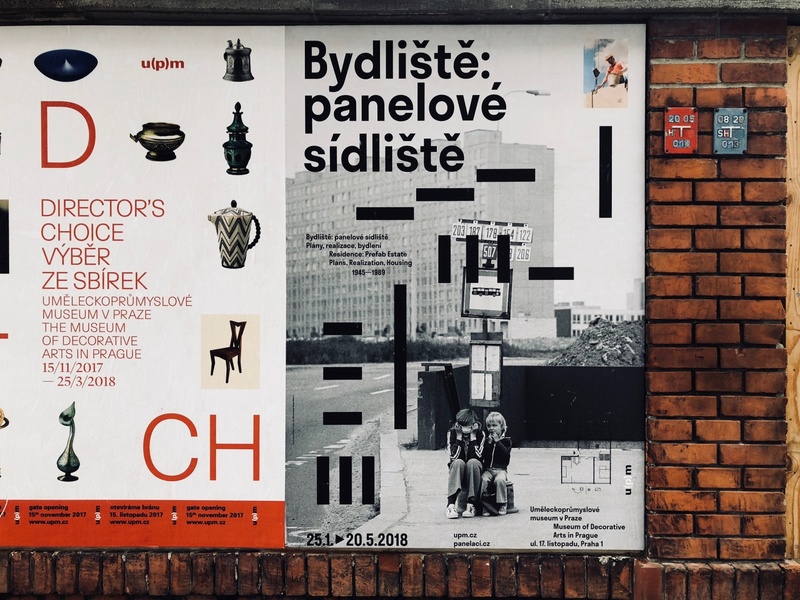 And Prague’s Museum of Decorative Arts has gotten into the act, launching an ambitious exhibition on Communist-era “paneláky” – Czech slang for prefab public-housing projects that instantly recall the old days of life in the Czechoslovak Socialist Republic. Nostalgia is fine, but it can border on the saccharine, and small doses are usually better than big. I checked out the exhibition in February and found it refreshingly free of sentimentality. It was surprisingly detached, informative, and lots of fun. 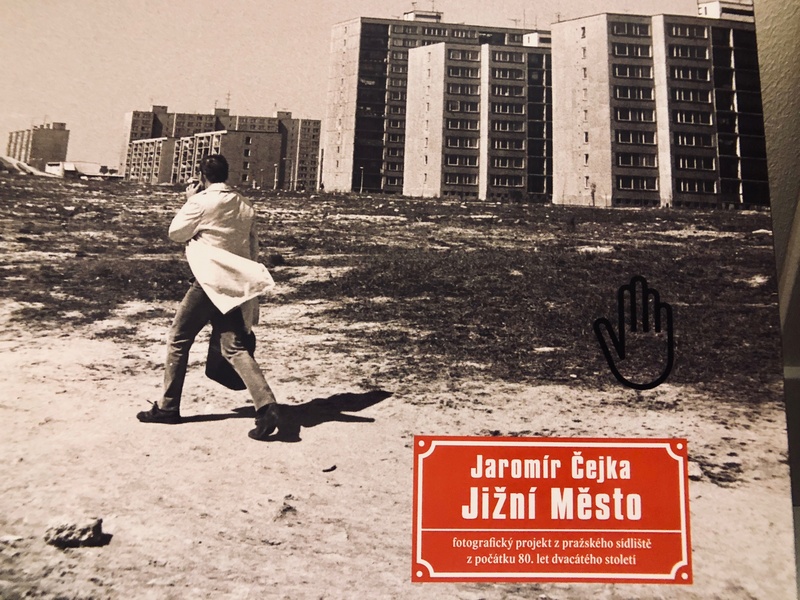 Top Photo: This dramatic shot is one of several Jaromír Čejka images of Prague's largest panel-housing estate, Jižní Město (South City), from the late-'70s and early-'80s. 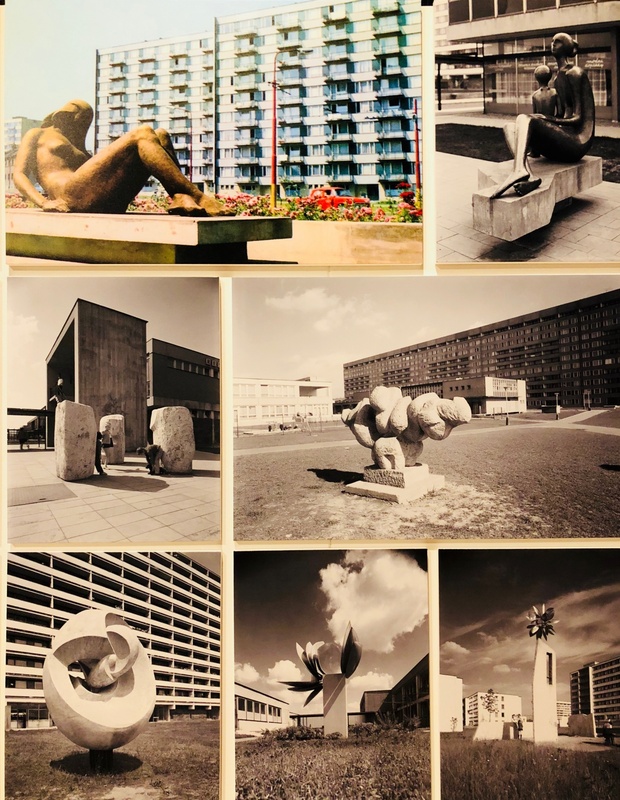 Posted in Diversions, Life In Prague and tagged Architecture, communism, Czechoslovakia, history, museums, Socialism, urbanism. 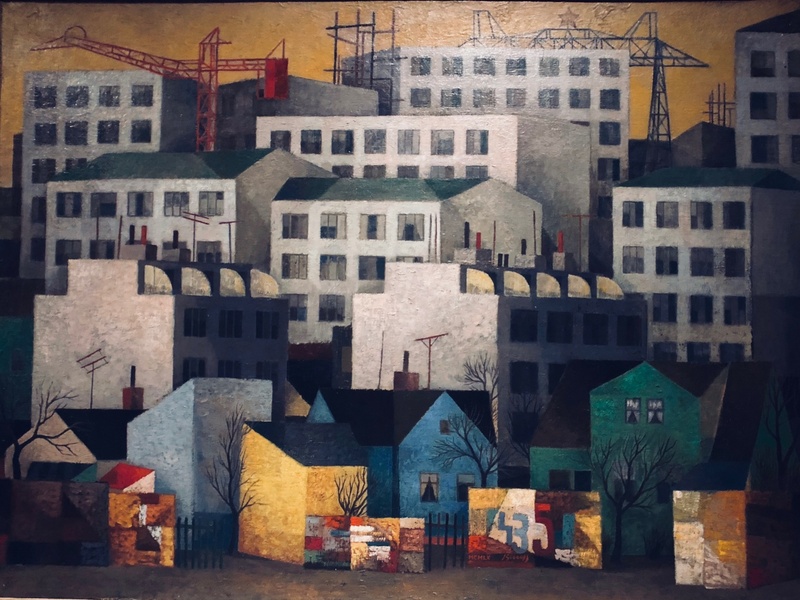 A picture of prefabricated housing blocks from 1960 by Czech painter Vlastimil Beneš (1919-81). Photo by Mark Baker. It took a while for planners and builders to perfect the 'art' of constructing a block completely from concrete panels. 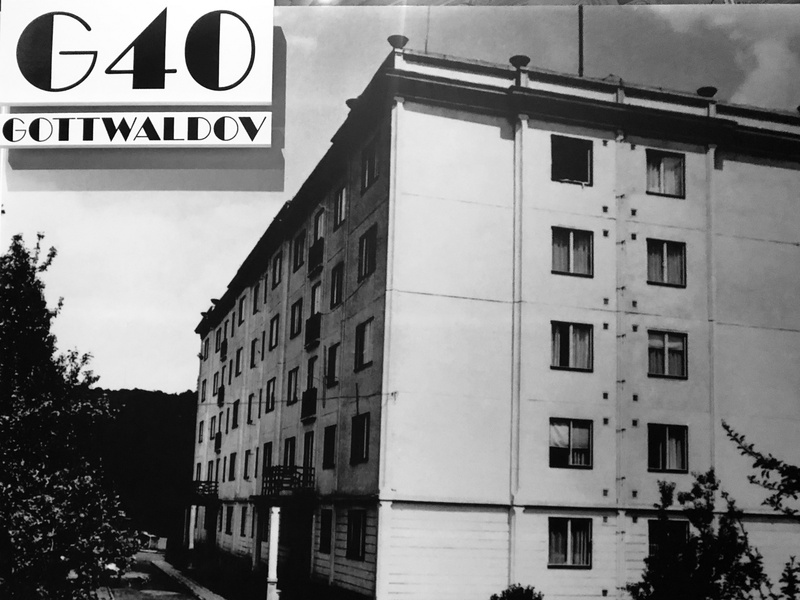 Indeed, it wasn't until 1954, during the 'Pioneering Phase,' that the first all-panel apartment building was finished, in the eastern Czech city of Gottwaldov (now Zlín). Photo by Mark Baker. 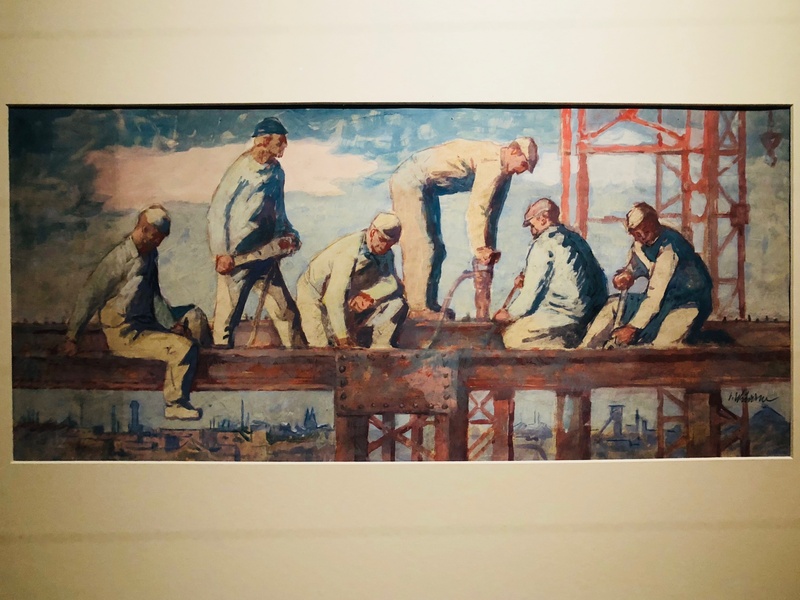 One of the first sections of the exhibition is dedicated to Socialist-Realism from the early 1950s, and this mural shows the original plans for redesigning the city of Ostrava, the center of the Czech iron and steel industry. Photo by Mark Baker. 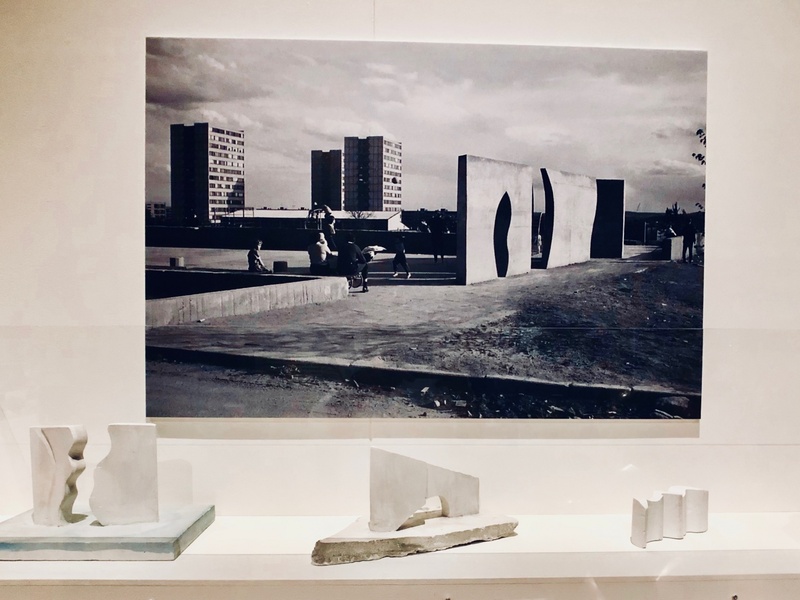 For the curators, Prague's Jižní Město (South City) epitomizes the 'Technocratic Phase' of prefab construction, with some of the worst trends in panel housing of the 1970s and early-1980s. During this period, the motto seemed to be quantity over quality. This photo was taken by Jaromír Čejka. 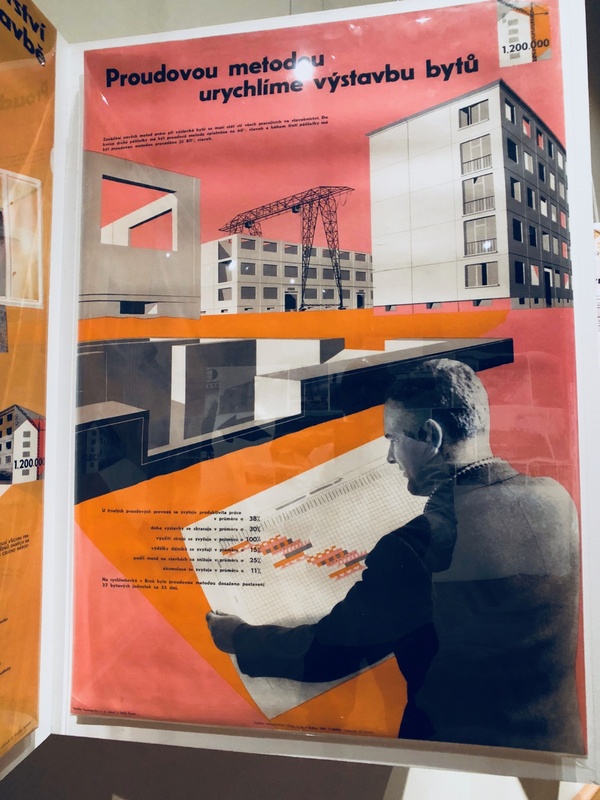 Judging by the explanatory materials of the Museum of Decorative Arts' new exhibition on postwar public housing: "Residence: Prefab Estate" (Bydliště: panelové sídliště), the curators obviously knew they were stepping into a controversial subject: the Communist legacy concerning public housing. 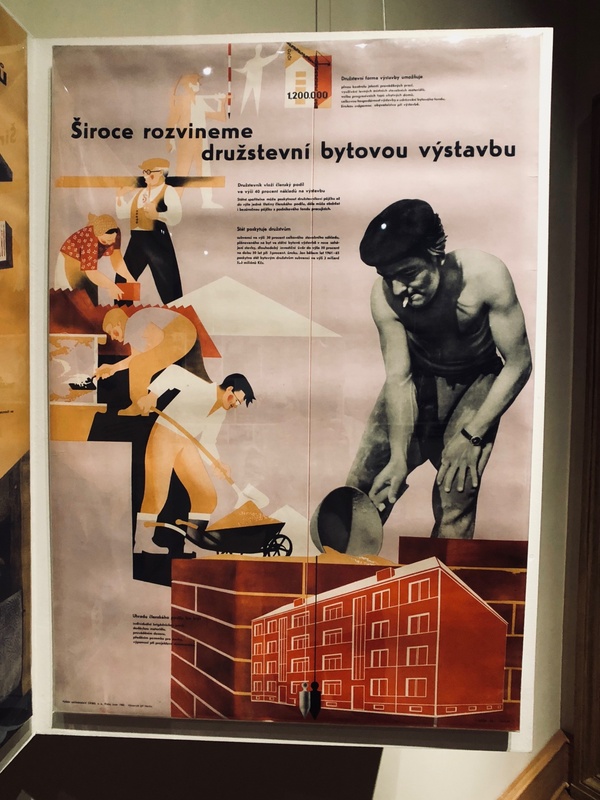 From 1948 until the late-'80s, the Communist regime constructed millions of residential apartments in cities and towns around Czechoslovakia to help ease a post-World War II housing crisis that lasted until the fall of Communism in 1989. The majority of these apartments were built as massive, freestanding blocks of multiple units, stacked one on top of the other. The state-run building companies made copious (and often indiscriminate) use of industrialized construction techniques developed after World War II and relied heavily on prefab-concrete panels as the main material. The prevailing local attitude the past couple of decades toward these buildings has not been overwhelmingly positive. While many people concede the beneficial role of these “panel estates” in helping people to obtain their own homes, many would also agree the overall experiment in mass construction has been something of a disaster. Not only do bland, cookie-cutter apartment blocks surround nearly every city in the country, but their institutional drabness has somehow seeped into the national psyche. I don’t want to get too Margaret Mead here, but in addition to destroying historic towns and villages and despoiling the natural environment, these oversized housing projects have also homogenized the culture somewhat and stunted the national spirit. A highly stylized interior from the 'Invalidovna' project in Prague. Invalidovna was typical of what the museum calls the 'Pioneering Phase,' through the 1950s. It was during this period that new panel-construction techniques were developed and selectively implemented. Photo by Mark Baker. 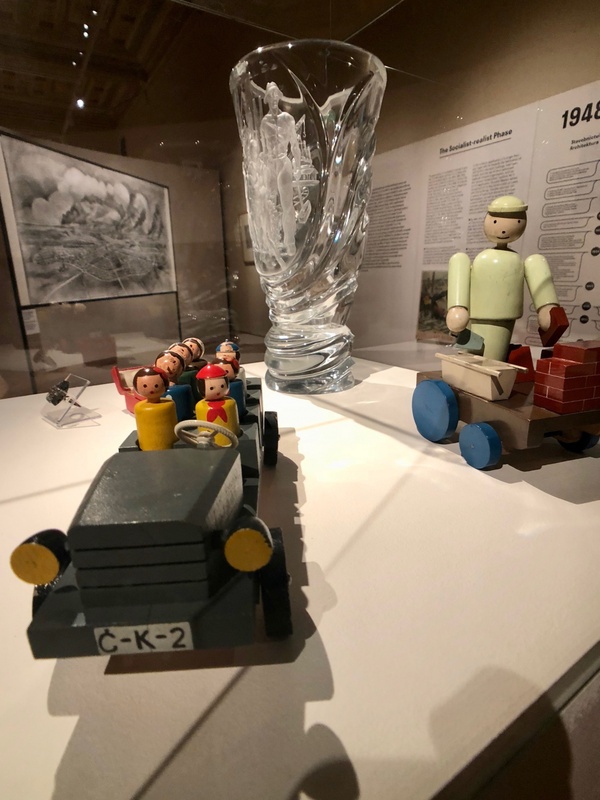 Socialist-Realism imagery was typically used in everyday objects, like toys and glassware, to subtly reinforce the primacy of the workers in society. You can't see it clearly here, but images of workers are etched into this glass vase on display. Photo by Mark Baker. 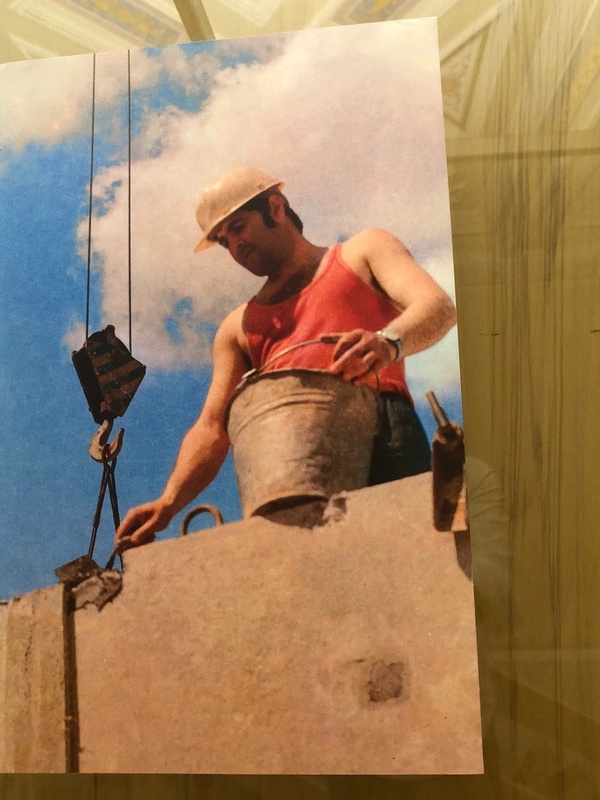 Throughout the Communist period, construction workers building the new apartment blocks were heralded as heroes of society, working hard to solve the country's housing shortage. Photo by Mark Baker. A typical piece of art from the time celebrating the heroic efforts of workers, a hallmark of the Socialist-Realism phase of art and architecture of the early 1950s. Photo by Mark Baker. And that’s where this exhibition steps in. The organizers seem to view themselves as a kind of tonic: a corrective to balance out the mainly one-sided, negative narrative on Communist-era housing. Sure, these prefabricated housing estates have lots of critics, the organizers argue, but the reality is one in three Czechs still lives in this type of building (more than 20 years after the last one was built). And not only that, many residents are reinvesting in their panel apartments, ensuring the buildings remain a significant part of the urban landscape for decades to come. 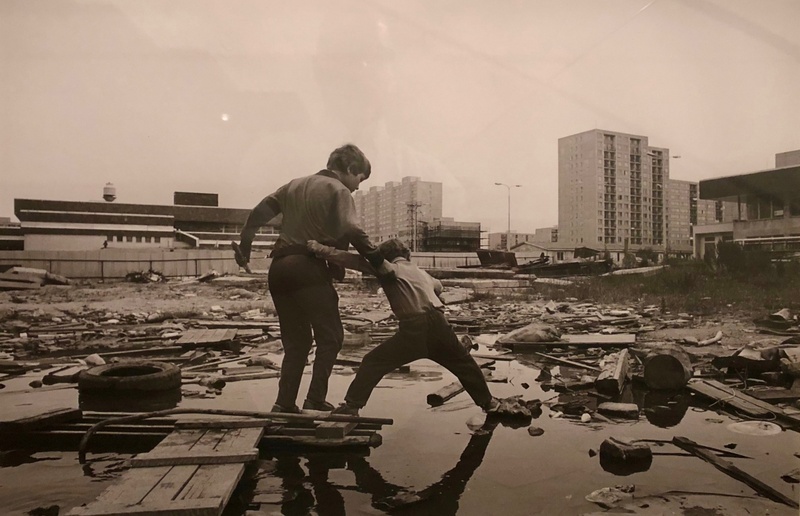 The exhibition builds on the work of teams of researchers, who studied the most important prefab housing projects in the country. The researchers identified six distinct phases of prefab construction, each phase reflecting its own specific political and economic factors, as well as changes in building technologies. You'll see this poster, advertising the Museum of Decorative Arts' exhibition on postwar, prefab residential construction, all around town these days. The show runs to May 20. Photo by Mark Baker. 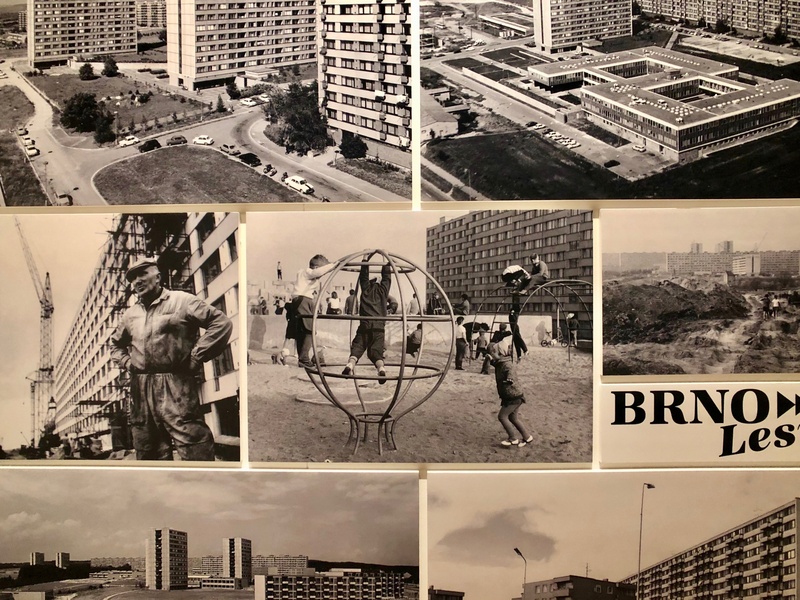 Sídliště Brno-Lesná (1962-70) was the first large Socialist-era housing project to be built in the city of Brno and features prominently in the Museum of Decorative Arts' exhibition on postwar, prefab housing. It's a typical example of what organizers call the 'Beautiful Phase.' Photo by Mark Baker. 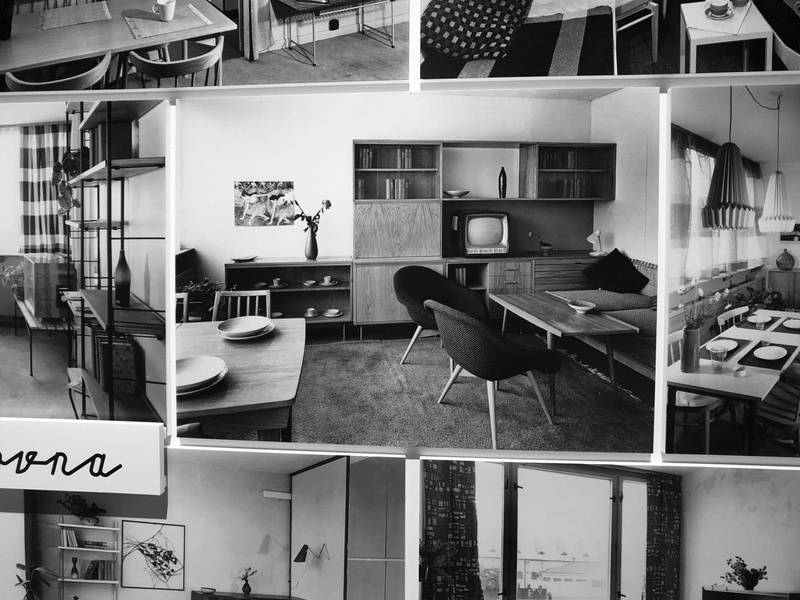 The curators dubbed the late 1950s and '60s as the 'Beautiful Phase' of Socialist housing. I'm not sure the name works for the buildings, but I do love this classy porcelain set designed for the Czechoslovak pavilion of the Brussels '58 World's Fair. Photo by Mark Baker. A typical propaganda poster from the 1960s exhorting the nation to solve the housing shortage by building an additional 1.2 million apartments by 1970. Photo by Mark Baker. I think the exhibition largely succeeds. While not all six phases are supported equally well, I learned a lot and will never look at these prefab buildings in quite the same way. I would never have guessed there might be a period historians would label the "Beautiful Phase" for these massive housing projects -- but beauty is in the eyes of the beholder, as they say. The first period lasted from the end of World War II until about 1950. In the immediate aftermath of the war, architects attempted to resurrect some of the basic tenets of interwar Functionalism (clean design, smaller scale, modern materials), but the Communist coup of February 1948 interjected a dose of uncertainty into the model, and the period’s legacy is not strong. Socialist-Realism was a clear departure from interwar Functionalism, both in terms of the massive scale of the projects (see the photo of plans for the city of Ostrava) and in the use of external decorative elements, such as reliefs on building facades, to glorify the accomplishments of the workers in Communist society. The death of Stalin in 1953 and the uncertainty that followed ultimately put an end to this relatively short-lived movement and not many Socialist-Realism projects were ever built. It was during this time, in 1954, the country’s first full-panel apartment block was completed, identified as type "G40." It wasn't built in Prague, though, but rather in the eastern city of Gottwaldov (now Zlín, see photo). Another poster from the 1960s to rally the country to put an end to the persisting housing crisis once and for all by 1970. Photo by Mark Baker. This montage of various public housing estates around the country from the 1960s shows off elements of the 'Beautiful Phase,' when designers incorporated artistic elements to humanize the apartment blocks. Photo by Mark Baker. To make way for the new high-rise apartment blocks, older historic homes were often razed. Here, photographer Iren Stehli (b 1953) documents the destruction of houses on Žerotínova street in the late 1970s. 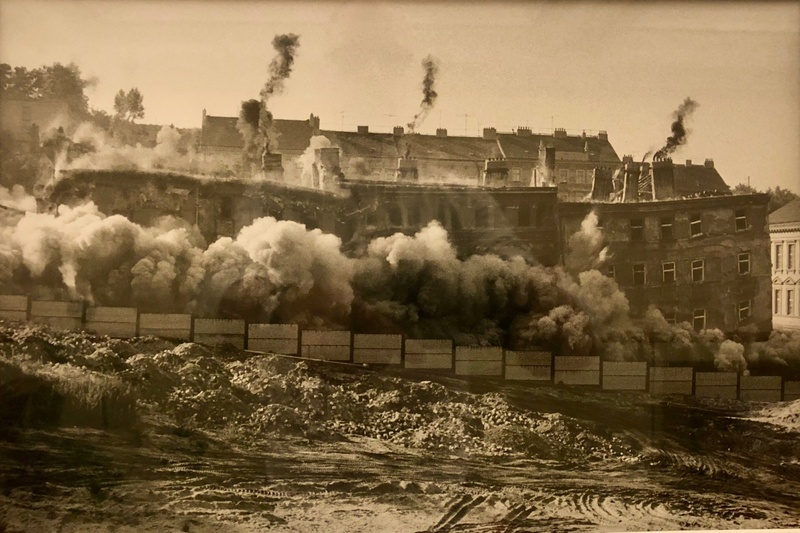 This photo by Iren Stehli (b 1953) shows the demolition of houses on Žerotínova street in the late 1970s. Older homes often had to be pulled down to make way for the new high-rise apartment blocks. The 1960s, generally, are considered to have been a good decade for Czechoslovakia. Not only did the political system loosen up to allow for more open discussion, but architects felt freer to humanize the big blocks of residential apartments they were building. 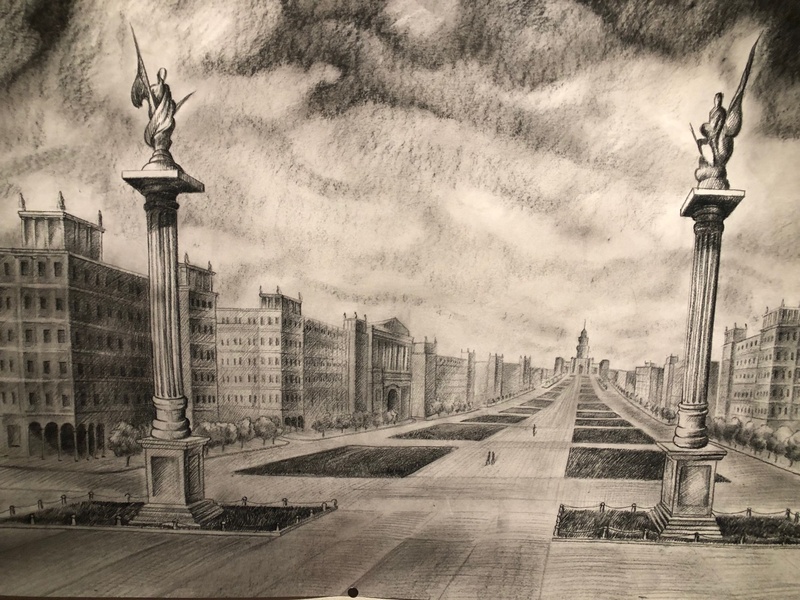 They did this by incorporating external decorative elements (fountains and sculptures) that softened the buildings' impact, and by adding shopping centers, schools, medical clinics, and other public services into the designs. This is my favorite phase, by the way, and I’ve always been attracted to the futuristic, abstract sculptures and reliefs that dot many of these 1960s’ housing estates (and that are now often in such dreadful states of disrepair). 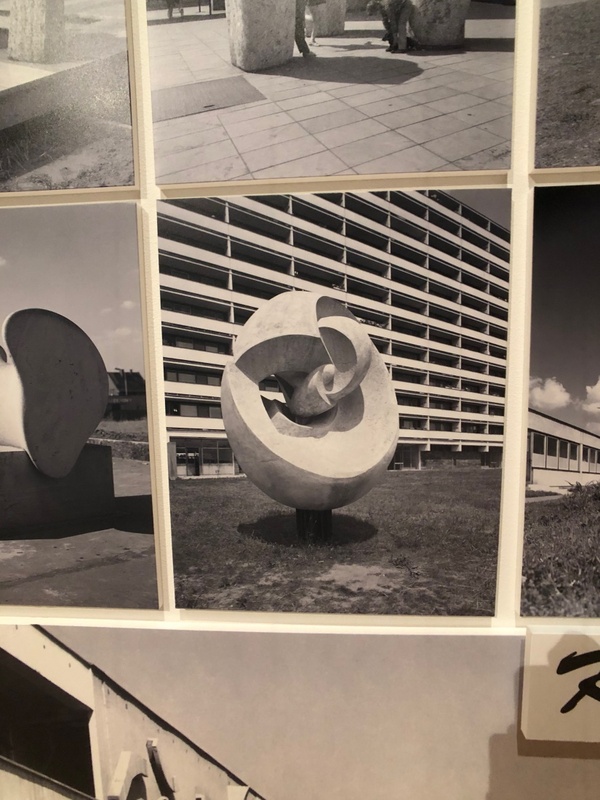 For an example, see the photo here of the sculpture of a "blossom," by Jaroslav Vacek, from the Pankrác housing estate in Prague in 1971. 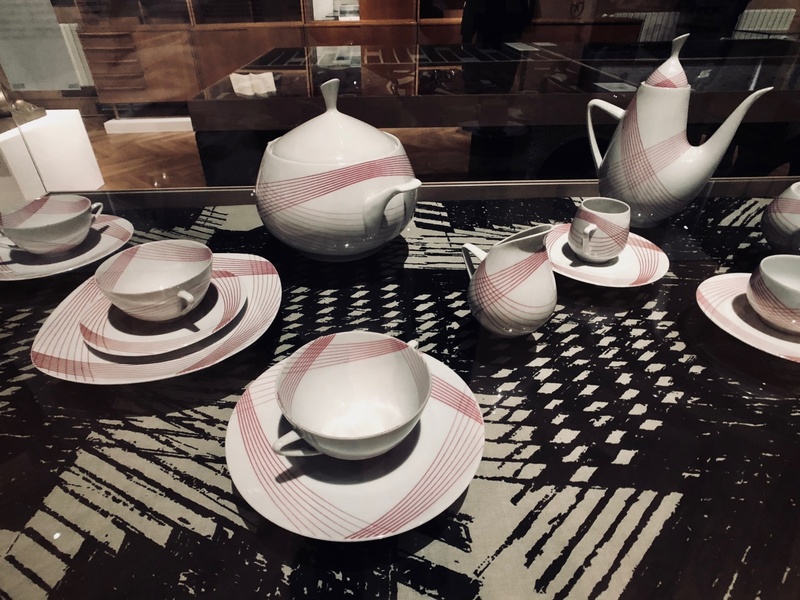 This part of the exhibition also features some nice examples of textiles and interior furnishings from the period -- and a porcelain set (see photo) from the Czechoslovak pavilion of the "Brussels ’58 World Fair," which inspired so many artists and sculptors of its day. The liberalism and openness that characterized the 1960s came to an end in the summer of 1968, with the Warsaw Pact invasion in August that year. Not only did the invasion put a dramatic end to the democratic experiments underway at the time, but it exposed supporters of the liberalization -- including scores of the country’s best planners and architects. Lots of these people were expelled from the Communist Party and lost their jobs. (In an earlier blog post, I write how my own Czech translator and fixer from the 1980s, "Arnold," lost his job and standing after 1968). In the aftermath of the invasion, the decade of the 1970s saw big increases in investments in public housing, but with a decided emphasis on quantity over quality. It was during this time that many formerly green-field sites were transformed into massive, free-standing cities of their own, with populations, in many cases, exceeding 10,000 people. In terms of design, many of the same plans were replicated across the country, lending the projects a deadening sense of uniformity. Prague’s “Jižní Město” (South City), the city’s biggest housing estate, with something like 90,000 people, was built at this time. To this day, it remains a national metaphor for the ills of public housing carried out on such a massive scale. It was the subject of Czech film director Věra Chytilová’s tragicomic film, “Panelstory,” from 1979. The curators identify a final phase of public-housing construction, which they term “postmodern,” though they don’t illustrate it very convincingly. Basically, the idea is that economic stagnation in the early-1980s led to a slowdown in housing construction. This allowed architects and planners to design on a smaller scale and incorporate older, more-traditional urban elements. I'm not sure I've ever seen a prefab housing project that exactly fits this description, but I'll take their word for it. The exhibition runs to May 20. The Museum of Decorative Arts is located at ul 17. listopadu 2, in Prague's Old Town. The museum is open Tue-Sun from 10am to 6pm. Another photo showing off the 'Beautiful Phase' -- in this case, from the Lesná housing complex in Brno. Photo by Mark Baker. 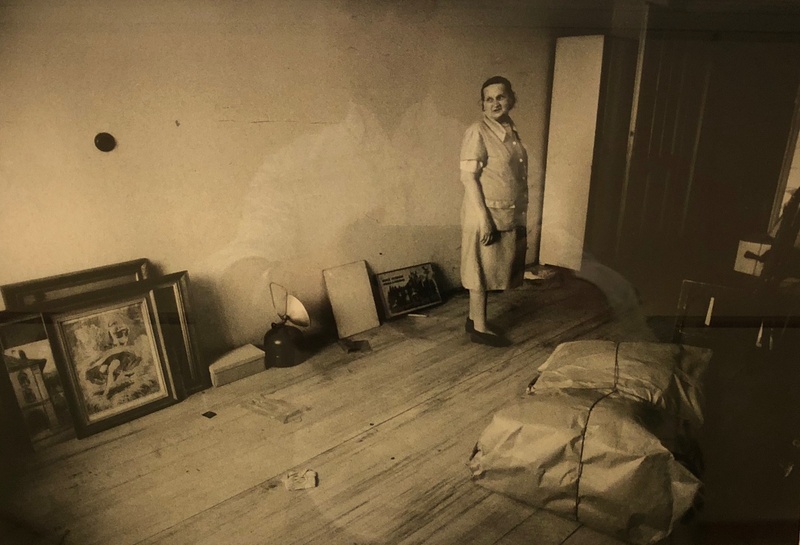 The exhibition highlights several pictures by Czech photographer Jaromír Čejka, who achieved fame with his stark black-and-white photos of day-to-day life in Prague under Communism. Photo by Mark Baker. The sculpture of a 'blossom' by Jaroslav Vacek is from the Pankrac housing estate in Prague in 1971. Pieces of public art like this were hallmarks of the 'Beautiful Phase.' Photo credit: Zdeněk Voženílek. 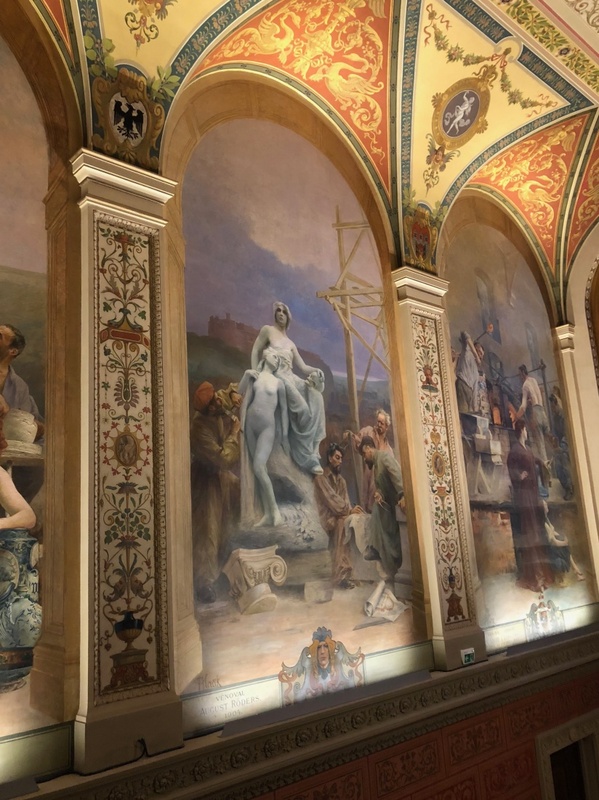 While the general museum still appears to be under renovation, the restoration work has been completed on the beautiful turn-of-the-20th-century murals that line the museum's stairways. Photo by Mark Baker. 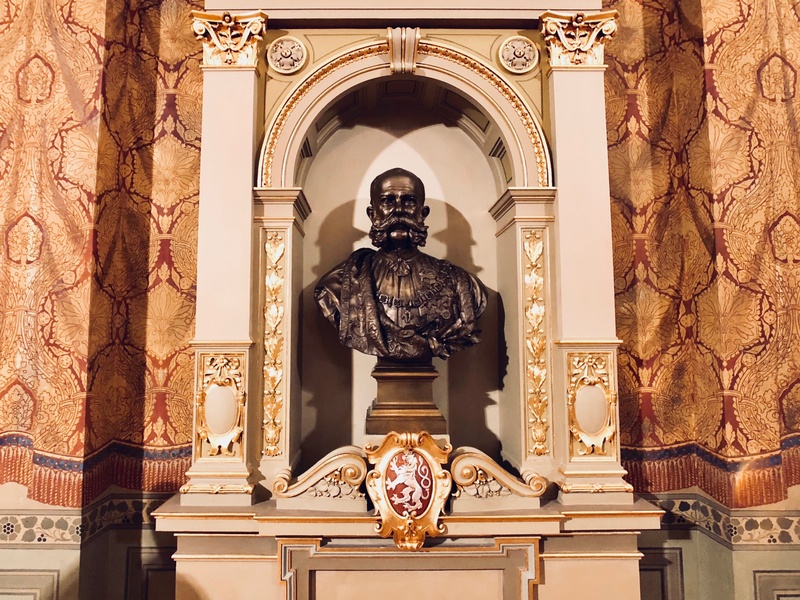 The exhibition ends in the lobby of the fourth floor, where visitors are treated to an incongruous bust of Austro-Hungarian Emperor Franz Joseph I. You don't actually see Franz Joseph in Prague much. The security guard said that under the monarchy, museums were required to display a bust of the emperor on their fourth floors. This sounds too strange to be true. Photo by Mark Baker. 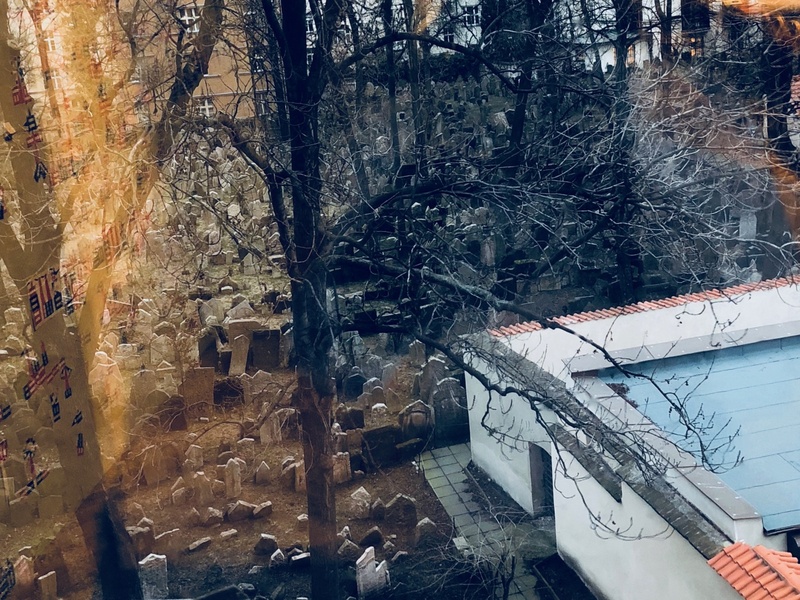 One of the treats of a visit to the museum is the view out over the Old Jewish Cemetery from the back window. I'm told the best view -- or at least it used to be the best view -- is from the women's bathroom. Photo by Mark Baker. I understand the animus — especially in the destruction of older buildings to create the panelaks. (These tensions are at the center, for instance, of Vaclav Havel’s play Redevelopment.) A visit to the Jižní M?sto area in 1992 also gave me a sense of how anonymizing and alienating the surroundings might be on a larger scale. But as a resident of a panelak in my first year in (then) Czechoslovakia, I found the apartment itself to be better than anything I had lived in during my student and early young professional phase. Also, all the homes I entered that were located in panelaks were extraordinarily cozy and welcoming. That the exteriors could be grim and uninviting was understood, but behind each family’s door was a different and tidy world of their own creation. This exhibit sounds marvelous. 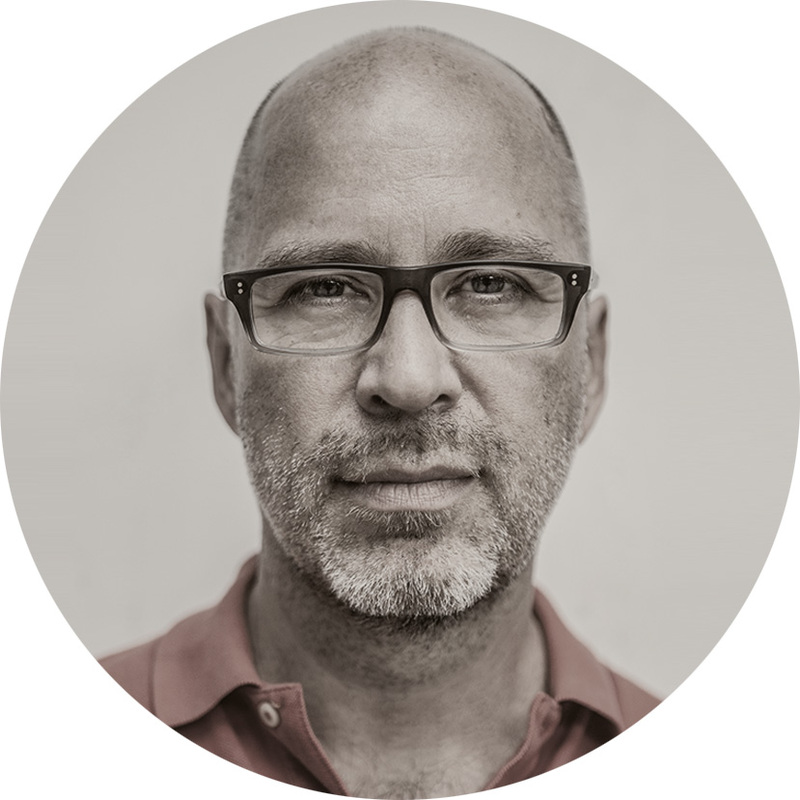 In adding nuance and complexity, it’s done its job.